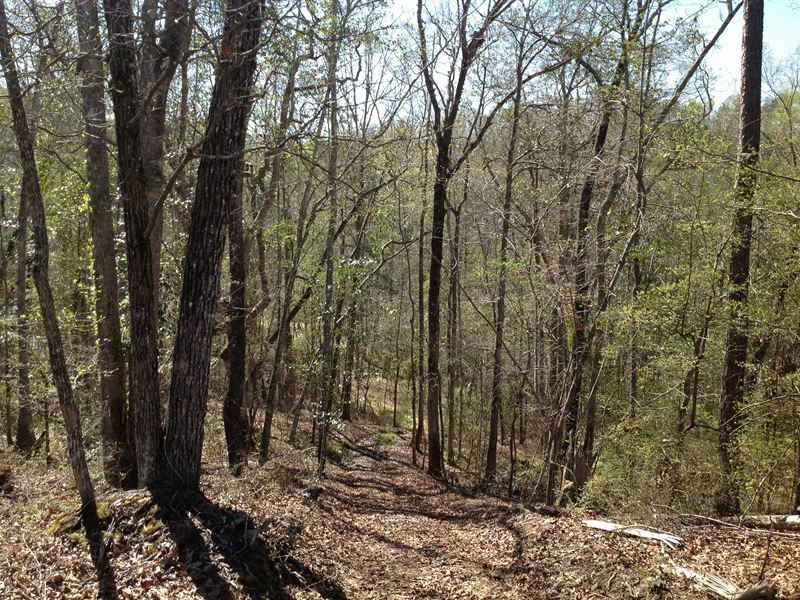 40 acres +/- of land for sale in east Perry County, Alabama. 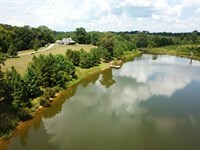 Are you looking for a place to go enjoy being in the country, while maybe doing some hunting or shooting? 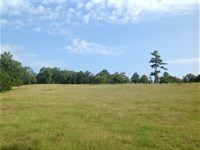 If so, this affordable 40 acres is one you should consider. The owner has developed a 100 yard rifle range with a shooting table for steadying your aim, that will be included with the sale. There is also a pistol range for plinking or honing close combat shooting skills. 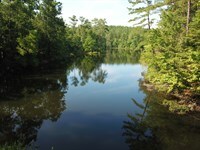 The current owners are not hunters, but they have enjoyed watching and photographing the wildlife on the property. 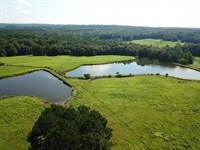 This area is home to a healthy deer and turkey population. I personally leased the turkey hunting rights on the adjoining property in the past, and it offered some great springtime encounters with gobblers. The land does not adjoin the Talladega National Forest, but it is within a mile of a lot of additional public land hunting opportunities. The terrain on this property varies a good bit. The south end is pretty hilly, and there are more gentle spots to the north. The soils are red clay and are rocky in some places. The timber on the property is a mixture of mature mixed hardwoods and pines and also some areas that were cut about 4-5 years ago and have naturally regrown. This mixture of timber stands offers good cover and food for wildlife. There are several springs on the property, and the owner says one of them runs all year. Whitetail deer need food, cover, and water, and this tract offers all 3. There is a metal storage building with gravel floor for storing equipment. It could be insulated and converted to a bunkhouse. 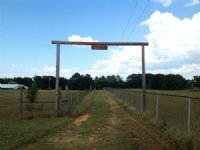 There is a power line easement running just along the eastern edge of the property, so power is available. 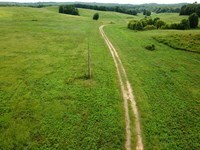 The owner has developed a good network of internal roads and trails, and has worked hard to maintain them. There are a handful of wildlife openings that could be planted for food plots. Showings of this property are by appointment only please, so contact Jonathan Goode at to schedule your showing of this property. Access is off a very short easement from County Road 51. 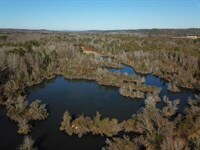 The property is convenient to major cities: 54 miles from Tuscaloosa, 64 miles from the Galleria Mall in Hoover, 70 miles to Montgomery, 31 miles to Selma, 13 miles to Marion, 37 miles to Clanton, and 21 miles to Brent/Centreville. 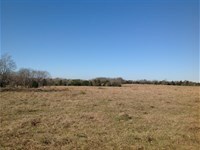 When calling agent, please say, "I found your listing Hunting Tract With Shooting Range on FARMFLIP."